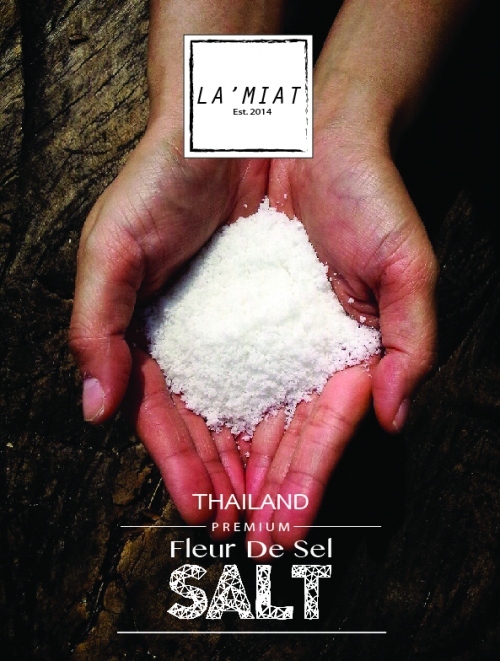 100 % pure fleur de sel or Flower of Salt was hand harvested from the Gulf of Thailand, where the salt farmer, harvests the crystalline salt crust are skimmed by hand from the surface of salt pans, only the lightest, purest sun-evaporated salt is gathered. Fleur de sel is perfect for finishing salt or cooking salt as well as on your table. It has unique textured,melt in the mouth and intensify food flavours and put the finishing touch on home-cooked dishes. It can be used as an ingredient in sauces and condiments, an accent on salad greens, meats, poultry, pasta or fish. 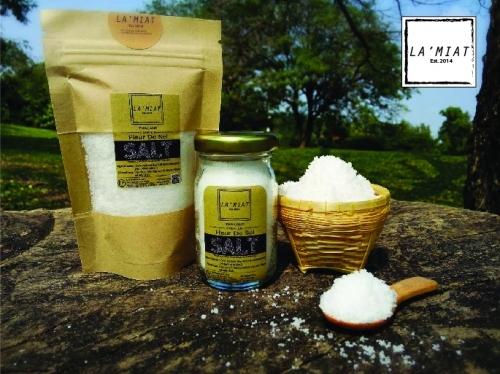 100% organic Thailand product, derived from the salt pans in Petchaburi.